Purchase your GruppeM Intake System for your VW GTI Gti and Golf R at ModBargains.com. 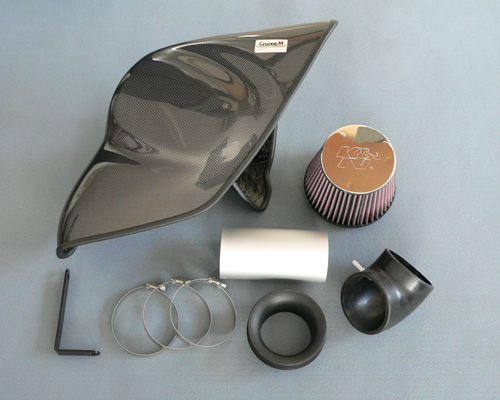 Looking for a High quality intake that will drastically changes the overall performance of your VW Golf R or GTI? Well you are in luck, with the high performance GruppeM VW VII Golf R and GTI Intake. The GruppeM intake replaces the factory air box, and is designed to make maximum power gains. Using a carbon fiber shield, the GruppeM intake helps to lower intake air temperatures and carry higher concentrations of oxygen, allowing for fresh, cold air into your turbocharged engine producing more horsepower and torque. Also included is a high-flow K&N air filter, which allows better flow vs stock, and the K&N materials prevent contaminants from interfering with proper engine function. The combination of carbon fiber, K&N air filter and quality parts ensure reliability is never sacrificed, making the GruppeM for the VW VII Golf R and GTI a great addition to your car for max performance, reliability and mpg. GruppeM developed the highest standard products that include performance automotive brands including Ferrari, Lamborghini, Porsche and BMW. GruppeM philosophy of attention to detail includes product lines that include high performance exhaust systems, brake line systems, and carbon fiber aerodynamic elements. GruppeM produces products that include carbon fiber air induction systems, titanium exhaust systems, stainless steel brake line systems, and aerodynamic parts. GruppeM products drastically improve the performance of your vehicle, for the best rates call Modbargains today at (714) 582-3330. Professional installation is recommended. 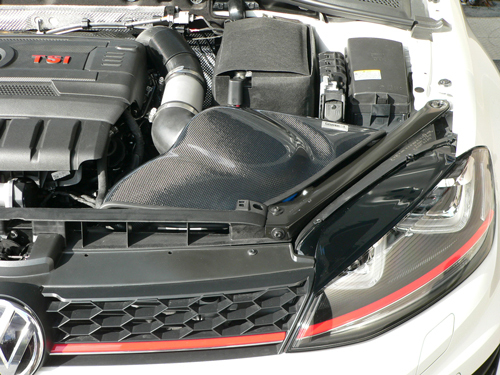 Get this GruppeM VW GTI and Golf R Intake installed by our experts at ModBargains. Our experts are highly trained to perfect each install.